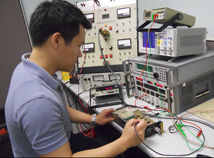 At Avionteq we are committed to providing the service that you expect for your avionics test and measurement tools. Utilizing years of experience, and our partnerships with reputable and reliable calibration and repair centers throughout U.S., Avionteq provides superior expertise for diagnosis, repair and calibration of various avionics test and measurement equipment. Our goal is to be your dedicated partner and the one-stop source for all your test instrument requirements.